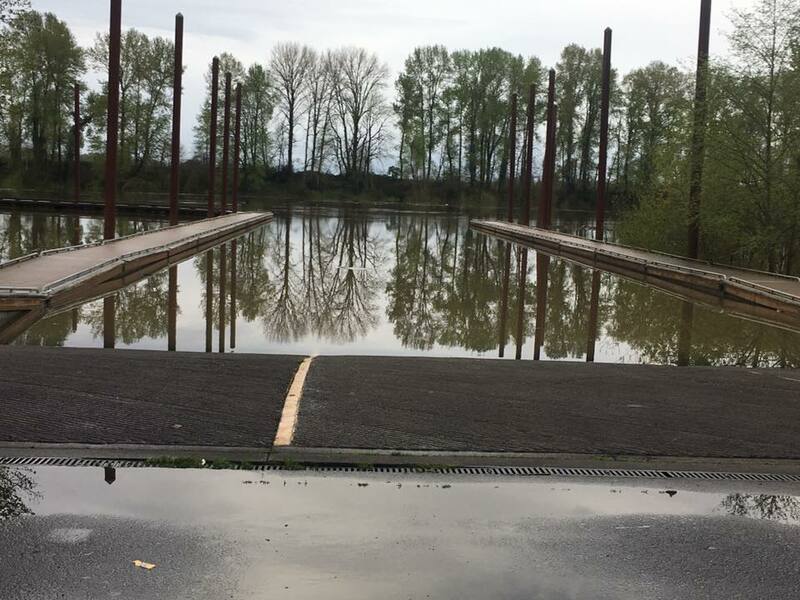 The National Weather Service is continuing a flood watch through Tuesday, April 9, 2019 , 5pm for the Central Willamette Valley. However, forecasters says we may have seen the worst of the flooding, and the hope is rivers will start to recede. 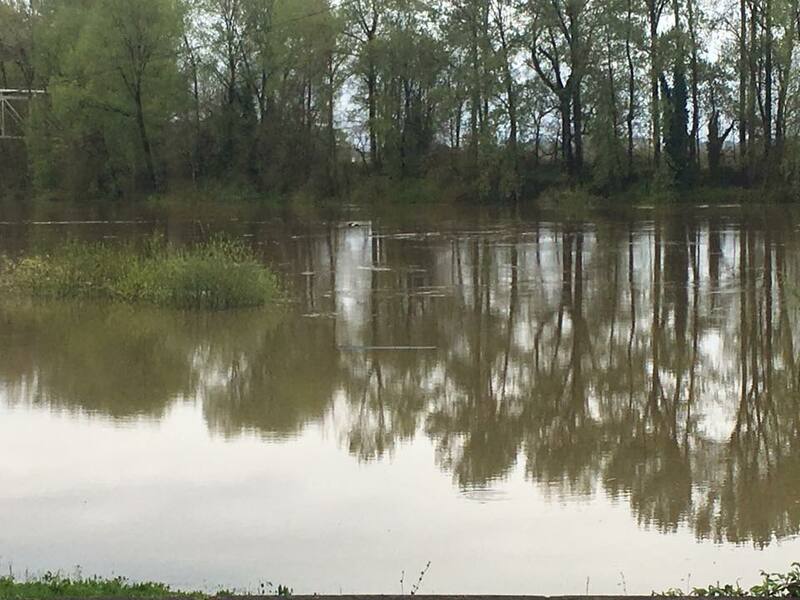 The Life jacket Kiosk on the Willamette River at Roger’s Landing is totally submerged and there is bank flooding in Yamhill County. The ferrys are not running due to high water. 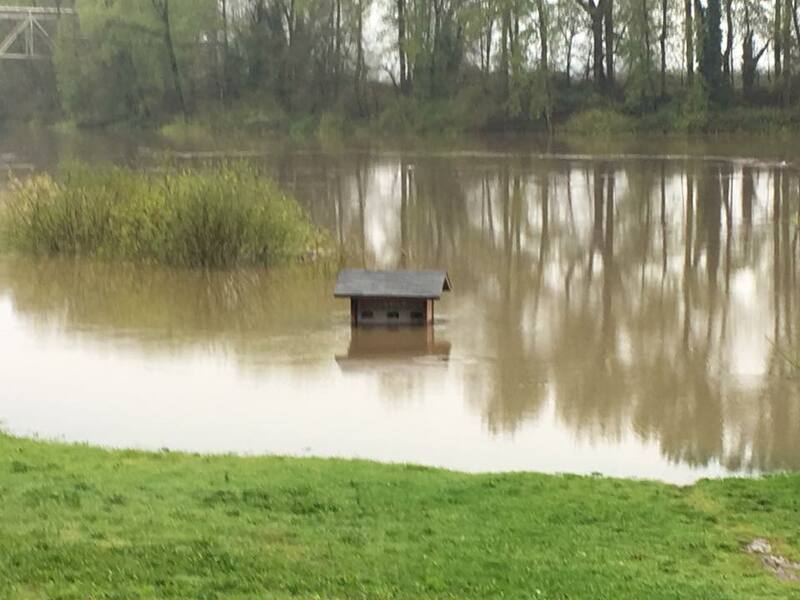 The flooding seems to be worse in southern Oregon. Lake County School District #7 is closed. Dozens of roads in Linn and Mario Counties are closed according to a report on Oregon Live. 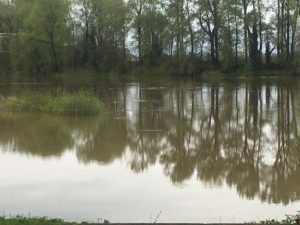 A quarter mile section of River Road north of Eugene is closed due to high water. The town of Lakeview is also reporting widespread issues of flooding. Pictures are 24 hours apart.